Look up in the sky — it’s a bird, it’s a plane, it’s whatever you wanted it to be because you ordered it. Drone delivery is one of the most anticipated innovations to come to ecommerce, and for good reason. It’s shockingly convenient for consumers and arguably cheaper for sellers in the long run, especially for shipping products to rural or remote areas. In December 2016, Amazon made headlines for completing the first customer delivery by an autonomous drone. The enterprise giant delivered a Fire TV video-streaming device and popcorn several miles to a farmhouse near Cambridge, UK. 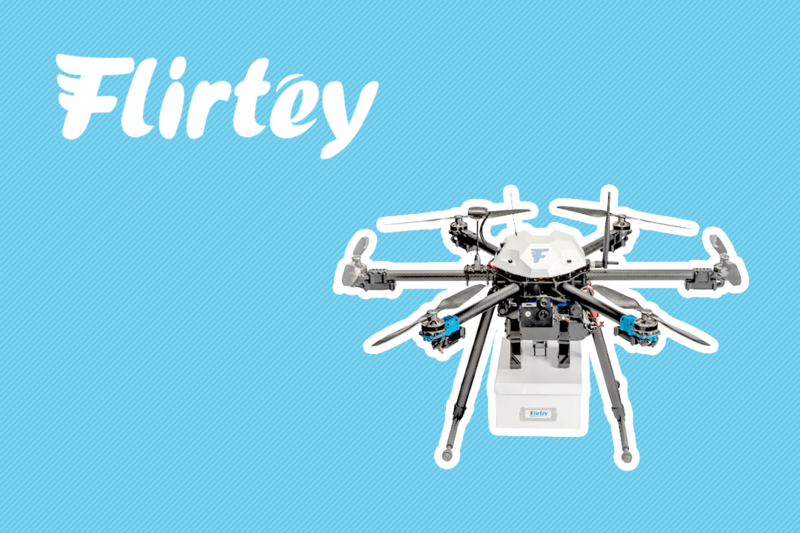 In other news, the drone delivery startup Flirtey raised $16 million in hopes of becoming a “next-gen UPS.” The company is well respected and caught international attention previously for delivering 7/11 Slurpees to parched Nevadans and Dominos pizzas to New Zealand customers. Even more astonishing is that Flirtey is commemorated in the Smithsonian’s National Air and Space Museum, a milestone that CEO Matthew Sweeny calls a “kittyhawk” moment for the startup (a reference to the town where the Wright Brothers first achieved flight in 1903). This is a big step forward for drones. Still, there are plenty of challenges yet to overcome before you start seeing delivery drones flying overhead. The first is federal regulation. The Federal Aviation Administration revealed rules regarding drone behavior including curfews (no flying more than 30 minutes before sunrise or 30 minutes after sunset), altitude/speed restrictions and certificate exams to operate a drone. Delivery by drone is still up in the air, however, since the FAA requires manned drones to remain in the pilot’s line of sight. Autonomous, or unmanned, drones (like the ones mentioned above) may not be held to the same standards since that would make deliveries impossible. The industry will just have to wait and see. Another barrier could be that customers just aren’t ready for drones. According to a survey published by the US Postal Service, 57 percent of people either think drones are a bad idea or are neutral about the whole thing. But it might just be that consumers haven’t yet been introduced to drones in a real and concrete way. Similarly, chimps at a Netherland’s zoo struck a drone with a stick; a ram in New Zealand broke a drone with its horns and harassed its operator; and bees chased a drone in Florida. Still, there are plenty of concerns regarding the safety and security of drones. What happens if someone shoots down a delivery drone to steal its contents? Could a hacker reprogram a drone, either by capturing it or through digital incursion, for his or her own purposes? Drone insurance is already popping up to combat these issues. 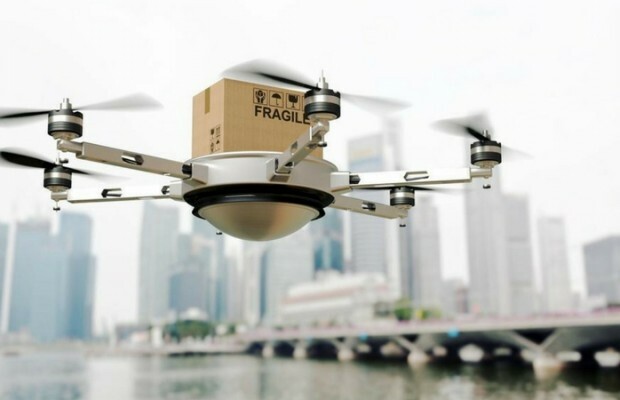 While drone delivery is still in its infancy stage, it’s not hard to imagine that drone shipping might eventually be a part of every e-store platform or ecommerce builder in the not-so-distant future; thereby alleviating the stress and difficulty of sending packages to shoppers. Amazon’s Jeff Bezos expects drone delivery to still be years away, but eventually it will be “as common as seeing a mail truck.” Until then, we will just have to look to the skies and wonder.